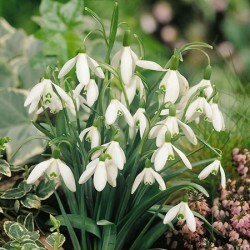 This might be the ‘Common Snowdrop' but that does not make it any less of a ‘must have' variety. Normally in flower from early February. See photos of Galanthus nivalis in real gardens.